The US Supreme Court on Monday paved the way for states to legalize gambling on baseball, basketball, American football and other sports — a business worth tens of billions of dollars annually. The nation's top court ruled 6-3 in favor of New Jersey, the eastern state that has lobbied for years for the right to allow sports betting. The court declared unconstitutional a 1992 federal law which banned wagering on professional and university sports except in four states where the market was already in place — Nevada, Delaware, Montana and Oregon. Congress had enacted the legislation — championed by then US senator Bill Bradley, a Democrat and former star basketball player for the New York Knicks — on the grounds that gambling would threaten the integrity of sporting events. The ruling, which eliminates Nevada's near-stranglehold on sports betting in the United States, is expected to lead to a rush by state legislatures to authorize sports wagering in a bid to reap tax revenue. Former New Jersey governor Chris Christie, who had fought the law on behalf of the state's down-on-their-luck casinos in Atlantic City, welcomed the ruling. Two leading fantasy sports companies — FanDuel and DraftKings — immediately announced plans to branch out into sports wagering. “In the same way we revolutionized fantasy sports, we will bring innovation to the sports betting space,” FanDuel said in a statement. DraftKings CEO Jason Robins said his company plans to “provide our customers with innovative online sports betting products. 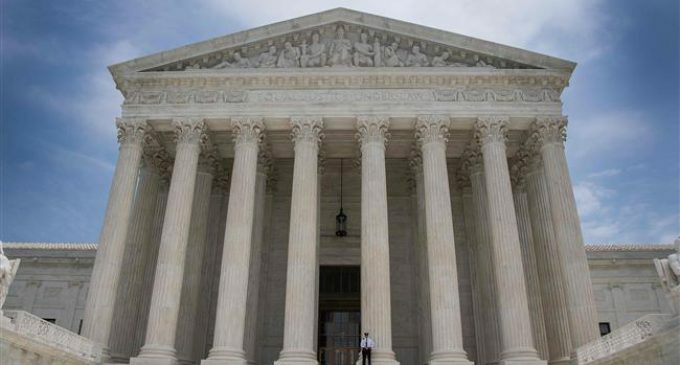 “Today's Supreme Court ruling is welcome news to the millions of Americans who currently wager $150 billion illegally each year through off-shore, black market bookies,” Robins said. British bookmaker William Hill, which already takes bets in Nevada, said it also hoped to get in on the action. “We've been working towards this day for a long time and take great satisfaction in the Supreme Court's decision,” it said in a statement. “We look forward to working to make legal and regulated sports betting a big winner for consumers, state governments and all interested parties across the country,” William Hill said. “Our most important priority is protecting the integrity of our games,” MLB said in a statement. Baseball was rocked by its worst ever scandal in 1919 when eight Chicago White Sox players were accused of taking money from gamblers to lose the World Series. The players involved in the infamous “Black Sox Scandal,” including star outfielder Shoeless Joe Jackson, were permanently banned from baseball. MLB's all-time hits leader Pete Rose remains banned from baseball for gambling on games while he was the manager of the Cincinnati Reds. Real estate tycoon and now US President Donald Trump was among those who fought against the sports betting ban when he was seeking to save his hotels and casinos in Atlantic City from financial ruin.